Women represent less than a fifth of superintendents in Oklahoma. 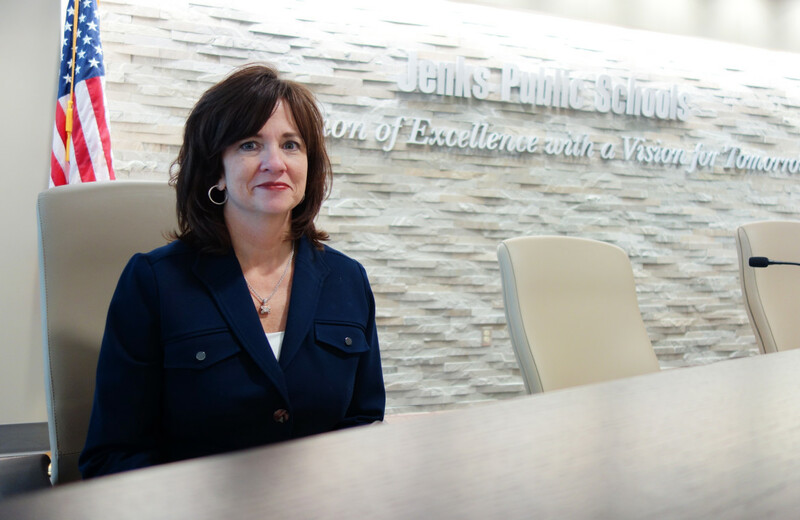 Stacey Butterfield, superintendent of Jenks Public Schools, followed her mother and grandmother into a career in education. The teachers in K-12 classrooms in Oklahoma and other states historically were mostly women. Their bosses — the principals and superintendents — were mostly men. In two of those jobs, not much has changed. Nearly eight in 10 certified public-school teachers in Oklahoma are female, a ratio unchanged in the past decade, according to state Department of Education data acquired by Oklahoma Watch. More than eight out of 10 superintendents are still men. The 18 percent share for female superintendents represents a gain of six percentage points since 2005, although there are now fewer superintendents. The biggest change historically is in the principal’s office. Men and women now split the positions almost 50-50, although a decade ago 55 percent of principals were women. The persistent overall gender divide, and the striking disparities among teacher and superintendent ranks, remain troubling to some researchers and educators. One of the biggest concerns for women is pay. The teaching profession has long provided a career avenue and source of income for them when other fields weren’t open. But their dominance in the career may help perpetuate the stereotype that teaching, especially in lower grades, is a woman’s domain – and less deserving of pay that reflects the importance and difficulty of the job, some education experts say. Male teachers also want higher pay, plus they face a stigma. In elementary grades parents may be suspicious of them, although some research shows that male teachers help schools connect better with boys. The small representation of women among superintendents means they rarely earn the biggest checks in education or are able to model a strategic leadership role. “It takes a long time to complete a culture shift,” said Alicia Priest, president of the Oklahoma Education Association, which represents teachers. In the school year 2013-2014, Oklahoma ranked 11th highest in the nation in the percentage of teachers who are female, according to a National Education Association report. At the same time, the state ranked 4th lowest in average salaries for public school teachers. In calling for teacher pay hikes in Oklahoma, state leaders and educators don’t cite the prevalence of women in the classroom as a reason for the relatively low salaries. Research has shown, however, that jobs dominated by women, including teaching and nursing, tend to pay less than other professions, and have less prestige. Oklahoma pays first-year teachers a minimum of $31,600, including benefits – a number set by the state Legislature. With 10 years of experience, teachers here can expect to earn just under $36,000. “Pay and respect are two issues,” said Priest. She said she often hears teachers say they accept low pay because they earn their family’s second income. Year after year, legislative proposals to increase teacher pay have fizzled. Priest said that’s why the Oklahoma Education Association supports a penny sales tax increase to fund education, noting it’s the only option that seems to be gaining momentum. 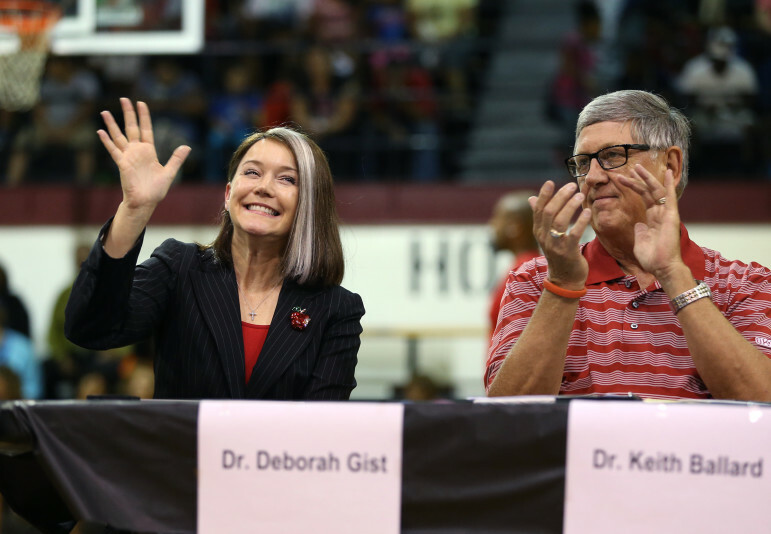 Tulsa Public Schools Superintendent Deborah Gist (left) is introduced with previous superintendent Keith Ballard (right) during a back-to-school event at McLane High School in Tulsa on Aug. 28, 2015. Nationwide, about a quarter of all school district superintendents are women, meaning Oklahoma, at 18 percent, lags in gender diversity in that role. Superintendents are often paid $100,000 or more, with those leading the state’s largest districts earning more than $200,000. Studies and industry experts point to a number of reasons why female superintendents remain outnumbered by their male counterparts. Some explanations point to fewer women seeking leadership roles in education, due to family considerations, time demands or the unwillingness to relocate. Others point to a possible gender bias, perhaps perpetuated by the school boards that are tasked with hiring superintendents. There are signs of change, however. Women are now at the helm of the state’s two largest school districts: Deborah Gist last year became Tulsa’s first female superintendent, and Aurora Lora last month replaced Rob Neu at Oklahoma City Public Schools through at least this fiscal year. With Robert Neu’s departure, Associate Superintendent Aurora Lora has stepped into the superintendent’s job on an interim basis. University of Oklahoma and Oklahoma State University officials say there are more women seeking superintendent certificates than men. At OU, within the past five years, women comprised 68 percent of students who graduated with a principal’s certificate and 75 percent of those who earned a superintendent certificate, according to figures from the university’s Jeannine Rainbolt College of Education. But strictly looking at female superintendents does not provide the full picture of female leadership in education. Some women with advanced degrees hold titles like director of curriculum or associate superintendent. Her career includes 14 years in the classroom, district-level leadership roles, secretary of education under Gov. Henry Bellmon and five terms as state superintendent. Garrett said one of the reasons she left teaching was the need to support herself financially, as well as have a little extra money to send to her son while he attended law school. Superintendents are hired by local school boards, and on some boards, members are reluctant to select a woman because of a perceived lack of fiscal management qualities, Garrett and others said. Also, women, especially young women and those with school-aged children, tend to not become superintendents because the demanding nature of the job isn’t compatible with a having a family. Jenks Superintendent Stacey Butterfield started her career with a decade in the classroom, following in the footsteps of her mother and grandmother, who were both teachers. Like many female superintendents, she didn’t take on the role of mother during her rise to the top position. A 2015 survey by the School Superintendents Association, a Virginia-based nonprofit, found that the mean and median ages of superintendents were older for women than men, and female superintendents began their position at a later age than men. Also, significantly fewer female superintendents reported being married and they had a higher divorce rate, the survey found. 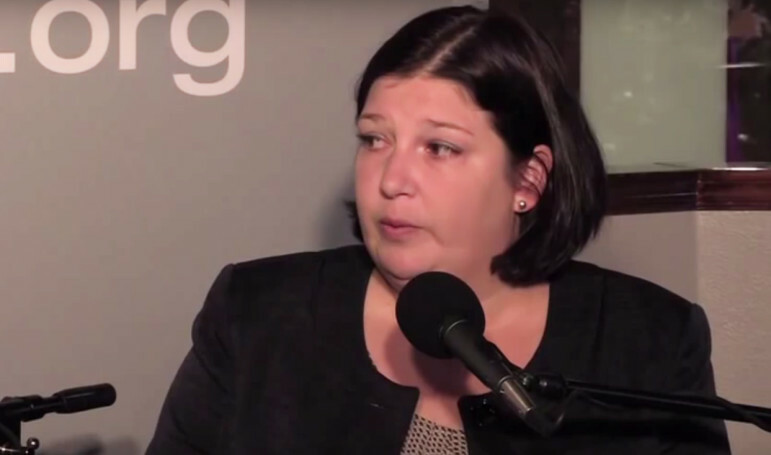 “Stress on the job is a huge factor for women, especially if they have families,” said MaryAnn Jobe, director of leadership development for the association, which represents 13,000 superintendents nationwide. Margaret Grogan, dean of the College of Educational Studies at Chapman University, said enlightened school districts implement family-friendly policies, making the principal and superintendent position more attractive to female candidates. Male elementary school teachers are rare. But Eric Gorbet said he enjoys teaching fourth grade at Pioneer Park Elementary School in Lawton. Hilldale Elementary school near Muskogee has 1,000 students and not a single male teacher out of more than 60. In general, most men entering the field of education are subject-driven, so they select jobs at the middle or high school level where they can specialize in a subject like math or English, she said. Or they want to coach, another opportunity found in secondary education. Nationally, less than a quarter of teachers are men, which is actually down from 30 percent in 1987, according to the National Center for Education Statistics. The profession in the U.S. has actually become more female. 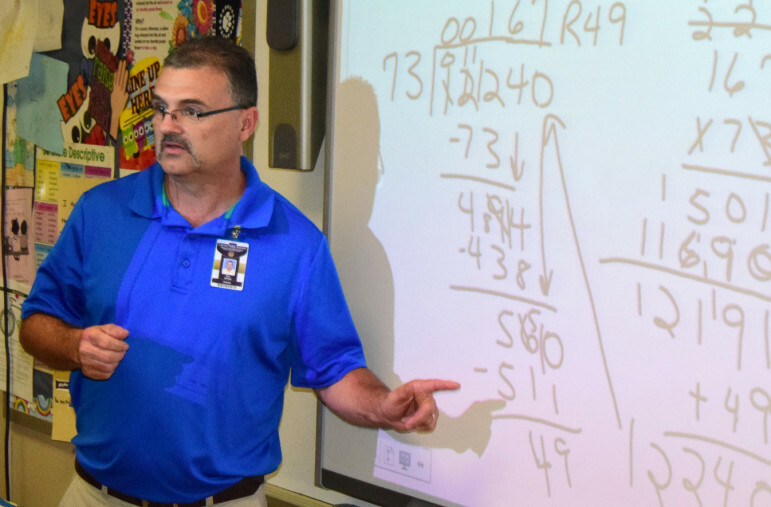 Shawn Hime, executive director of the Oklahoma State School Boards Association, started his career as a math teacher, but after having kids, he set his sights on administration. It’s not that men aren’t going into teaching, but rather that the number of women in teaching is increasing at a faster rate, preserving a lopsided male-to-female ratio. There are 2,000 more certified teachers in Oklahoma today than there were a decade ago. The teaching workforce gained 255 men but more than 1,600 women, a trend also seen nationally. Eric Gorbet is one of those rare, male elementary teachers – and the only one at his school. He was drawn to the classroom after his own unsatisfying experience in school. He felt like he never had a great teacher growing up, and he wanted to fill that void for others. Gorbet, a 4th grade teacher at Pioneer Park Elementary in Lawton, left a management position at a Fortune 500 company to become a teacher, taking a significant pay cut in the process. “I decided that I would continue to do what I love until I don’t love it anymore, and I am still here loving it,” he said.